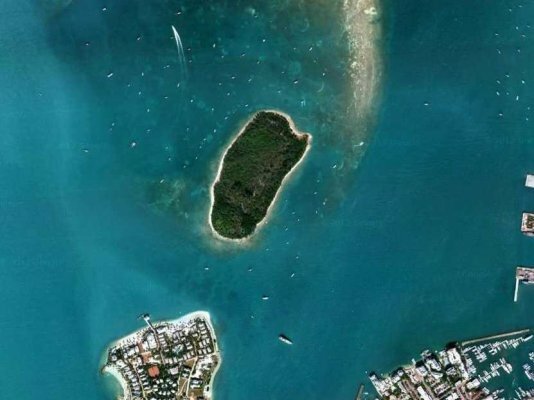 A small island in Key West Harbor has been the subject of a highly unusual fight between the island’s owners, a group of local residents, and the United States government. When it comes to thwarting development on privately-owned islands, few success stories stand out quite as much as that of Wisteria Island. A 21-acre man-made dredging isle at the tip of the Florida Keys, Wisteria is an innocuous- looking place covered in invasive Australian pine trees, giving rise to its nickname, “Christmas Tree Island.” Aside from scrubby forest, a scattering of litter and rusting boat parts are all one finds on the island – plans to transform it into something far more grandiose have, for now, had to be mothballed. 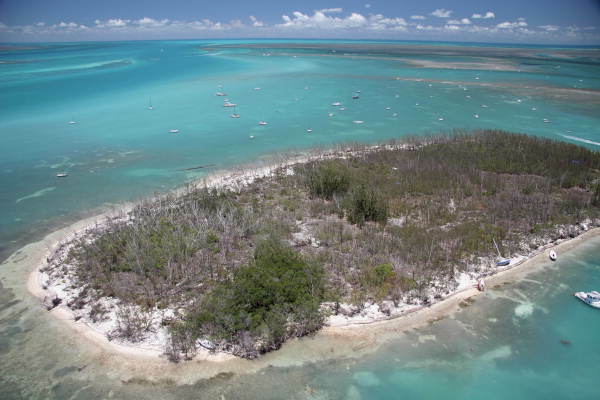 The saga of Wisteria Island began when the widely-acknowledged owners of the island, the Bernstein family, started exploring the possibility of developing the island into a boutique resort. The late family patriarch, Ben, purchased the island for $155,000 in the late 1960’s, and while he developed nearby Stock Island extensively with affordable housing and services, Wisteria was left to fallow for decades. During the intervening 40-odd years, the island gave shelter to a motley cast of characters straight out of a Tom Wolfe novel; colorful local artists, well-known Key West vagrants and hippies, and a luxury condo developer, Pritam Singh, who reportedly lived on the island prior to building his property empire. Houseboats, often dumping their refuse straight into the Harbor, were constantly moored off the island, and Keys residents picnicked on Wisteria during the day and partied there during the night. The Bernsteins turned a blind eye to Wisteria being used as a public park, and left it in a relatively undeveloped state – a decision that they may now regret, not least for the 100 boat-trips worth of garbage they had to remove from the island in a cleanup last year. The issues began when, in an effort to keep at least part of the island free from development, two local residents with fond memories of the island – Naja and Arnaud Girard – hunted through archives, and eventually found documents that they believed showed a murky path of transfer from the US Navy to private hands. Wisteria Island, the Girards contended, was still government property – and the Bureau of Land Management and United States Department of the Interior appear to have taken their side. The sole compensation available to the assumed owners would be a reimbursement of two out of the 43 years’ worth of property taxes paid. Ben’s sons Roger and Jordan Bernstein won’t go down without a fight, however, saying that more than four decades of property tax records and the original warranty deed should prove their ownership. “This is a land grab by the federal government of epic proportions,” Roger was quoted as saying.